It’s that time of year. Uncle Sam is knocking on your door reminding you to file your income tax return. For some of you, filing your taxes feels like Christmas, because you have your withholdings set up in a way that results in a refund. For the rest of you, tax season is like the flu, and you would prefer to avoid it at all costs. 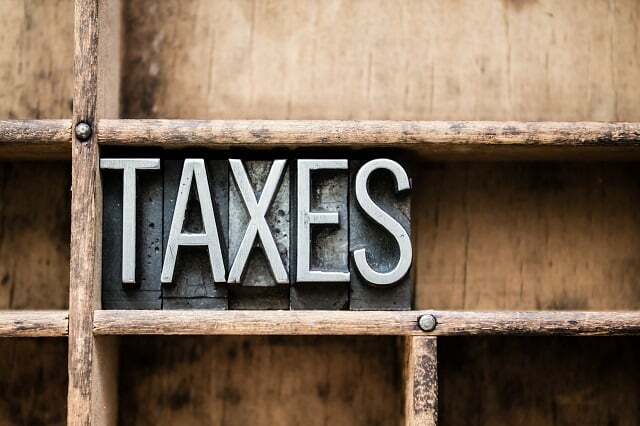 Depending on your personal situation, tax preparation can be as simple as organizing your statements or complicated as a result of owning a business, taking distributions, or having to file an extension for whatever reason. Regardless of your personal situation, there are a few tricks you can use to save some money on your taxes this year. It’s true. When you make contributions to a qualified retirement account like your 401(k) or IRA, roughly a third of your contribution can be written off as a tax deduction on your income tax return, because it lowers your taxable income. So while it’s still money that you have to spend, at least you are paying yourself first and then the government. It allows you to prioritize your future and reduces the amount you have to pay in taxes. The government encourages you to donate your money to non-profits. When you do, you are able to claim your gifts as a tax deduction. Whether it’s a straight monetary contribution or the expenses you incur as a result of donating your time (travel, lodging, supplies, etc.) to a charitable cause, you are able to claim these on your tax return and take a deduction. Every year there are certain tax credits available to you. Some you will qualify for and others you won’t, but it is always good to know what tax credits are available for the year you’re filing for. Did you add energy efficiency to your home last year? Have or adopted a child? Own a home? Here is a full list of all the tax credits and deductions available to individuals. See if you’re eligible for any of these and save money on your tax return. Owning a business affords you certain benefits that can help you lower your taxes – mainly that you are able to write-off business expenses like a home office, mileage, and business entertainment (i.e. taking a client to lunch). More and more people are launching businesses as side-hustles, and some business types have very little overhead like consulting or internet-based services that you can run right from home. Aside from a business either supplementing or replacing your income altogether, you can also take advantage of the tax benefits that come along with owning a business as well. Keep your eyes peeled for tax companies offering refund bonuses for using their service. This may not be the traditional way to save on your taxes, but they may just save you big nevertheless. These offers are not always available, and there is no guarantee that they will be offered every year. For instance, H&R Block is offering a 10% refund bonus if you file your tax return with them this year. You have to use some of your federal refund toward the purchase of an Amazon gift card, and H&R Block will add up to a 10% bonus depending on which solution you use. If you are expecting a refund, this is a great way to get even more money back. Flexible spending accounts are not only great financials tools to help you spend less on things you were already going to purchase, but they also offer tremendous tax benefits as well. These accounts are pre-tax plans that allow you to use the money you save in them toward medical expenses, dependent care, and health insurance. Your paycheck goes further, because you are able to save money in these accounts tax-free. And because you’re saving into a flexible savings account, your gross income is lower, which lowers your taxable income. Remember, it is always a good idea to consult with a tax professional if you ever have questions about your taxes. We recommend working with someone who will be proactive in helping you be as tax-efficient as possible. Having a tax efficient financial strategy is an important way to stretch your dollar.